There was a period of time between 1991 and 1997 when many believed that Square could do no wrong. The most fondly remembered Final Fantasies were released during this time as well as other hits like The Secret of Mana. In 1995, Square released a game that not only exemplified the very best characteristics of Final Fantasy but also employed new conventions that would be used in future role playing games. 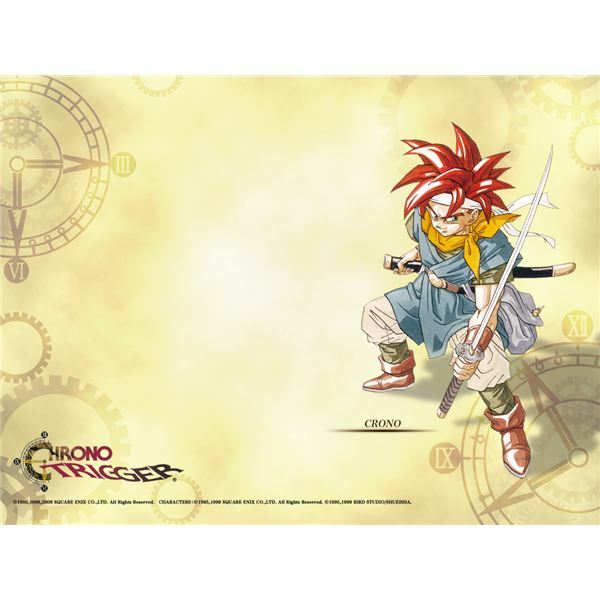 Chrono Trigger was the best of the old and the pioneer of the new and is widely regarded as one of the best RPGs of all time. In December 1994, Square released Final Fantasy VI, otherwise known as Final Fantasy III in the United States. FFVI was the pinnacle of the old school RPG, featuring an epic story, unique characters, and a robust combat system. It didn’t really do anything that hadn’t been done before, but the execution was nearly flawless. At the time, Square was notorious for taking what worked in previous games and making it better. Final Fantasy VI was a natural extension of Final Fantasy IV, improving upon it in just about every way while retaining the core attributes that made the games memorable and great. Chrono Trigger went a step further. The staples of previous RPGs were present, as the story was sweeping, the characters memorable and the gameplay balanced but there were new conventions that did not exist in Square’s previous titles. Chrono Trigger almost seemed like an experiment. The experiments were so successful that they were found in countless future RPGs, particularly those in the early 3D era. The problem was Chrono Trigger did everything so well, that there was little room for improvement. Perhaps the most revolutionary aspect of Chrono Trigger was the story. Unlike most role playing games, Chrono is set in peaceful times and the end of the world is not an imminent threat. That doesn’t sound like the most interesting premise for a game, at least not until time travel is introduced. Time travel is introduced very early in Trigger and serves as one of the primary plot devices throughout the game. Square did a tremendous job of using time travel to gradually raise the stakes. The first excursion to the past involves resolving a grandfather paradox that involves the reluctant princess Marle and her royal ancestry. The return to the present sees Crono on trial for kidnapping Marle and subsequently being sentenced to death. After escaping Crono and friends travel to the future only to discover that in about one thousand years there won’t be much of a world left. It is only at this point that Crono and his party realize that they must prevent the destruction of the world, even if it has no bearing on the people of their time. Trigger’s story arc is so thoughtfully planned out that the rising drama of the first quarter of the game acts as an underlying device that ultimately reveals the subterranean alien Lavos as the villain of the game. It can be hard to sum up the plot of Chrono Trigger because of the many potential endings the game offers. For instance, players can decide to fight or team up with Magus. What the player decides ultimately changes the outcome of the game. This tactic of letting the player dictate the course of action broke the mold of traditional role playing games and made each individual experience unique. Later role playing games, particularly Western RPG’s would expand upon the foundations set by Trigger, and presently morality choices and open exploration are more the norm than the exception. The emphasis on time travel allowed Square to explore an avenue that they hadn’t in the past. In Chrono Trigger, the primary character dies. This is unheard of in most RPG’s and in most games period, but because the game allows players to travel back and forth through time, the death of Crono was not written in stone. His death upped the ante, as players had to survive a good portion of the game without the main, and arguably the most powerful character. Also, never in an RPG was there such a sense of high drama and urgency as there was when the party is on a mission to retrieve the Chrono Trigger and undo Crono’s death. The gameplay of Chrono Trigger was not merely an incremental step forward; it was a revolutionary leap ahead. In the early Final Fantasy games movement was restricted to four directions, but in Trigger the player was granted full range of motion similar to adventure games like The Legend of Zelda. This trend would continue and become a standard after the release of Final Fantasy VII in 1997. Trigger’s combat system was also a major step forward for Square. Built upon the successful Active Time Battle system from FFIV and FFVI, Trigger introduced several new elements that provided players with a more seamless and less frustrating battle experience. Previous to Chrono Trigger most of Square’s games featured random combat. This could be very frustrating for players since they never knew how many battles they were going to face in a given area. There was also a sense of redundancy when the same weak enemies had to be fought over and over. Trigger corrected this problem by putting the enemies directly on the map. Now players could see where their next encounter was going to take place. Even better was that Crono’s party could slip by lower level enemies with ease. Since enemies were on the map, it made sense that combat take place on the map as well. This mechanic opened up a whole new set of combat options. The party would position themselves around enemies and based on that position some of their attacks would be more or less effective. This applied mainly to line and area of effect attacks but was an element of strategy not present in earlier games by Square. Another new element to combat was the combo system. Gone were the days where just the strongest members of the party were used. The combo system allowed either two or three of the party members to perform a powerful, collaborative attack upon the enemy. There were situations where lesser party members would need to be inserted into the party to fight a particular boss just because they were able to perform a combo attack that the boss was weak against. It was a nice way of making sure everyone was at least somewhat useful in combat. The legacy of Chrono Trigger reaches far beyond those who played games during the days of the Super Nintendo. It was re-released for the PlayStation in 1999. An enhanced version was released for the Nintendo DS in 2008 and it appeared on the Wii’s Virtual Console in 2011. Many may think that this is just Square Enix’s way of making quick money off a popular title, but the updated versions have been worthwhile, adding new dungeons and a new ending. Trigger is also rated as one of the best games in history to never have a direct sequel, and for years fans have been proposing ideas for sequels on fan sites and community forums. Radical Dreamers was produced in 1996 as a side story to Chrono Trigger. It was a visual novel and not released in the states, although a translated version is playable as a ROM. In 1999, Chrono Cross was released as a sequel to Trigger. Cross was a vastly different game than Trigger, taking place 20 years later and across dimensions as opposed to time. It was beautiful and well received, but the dozens of playable characters didn’t sit well with fans of the series. Chrono Trigger was developed during the middle of Square’s Golden Age, and the results are astonishing. 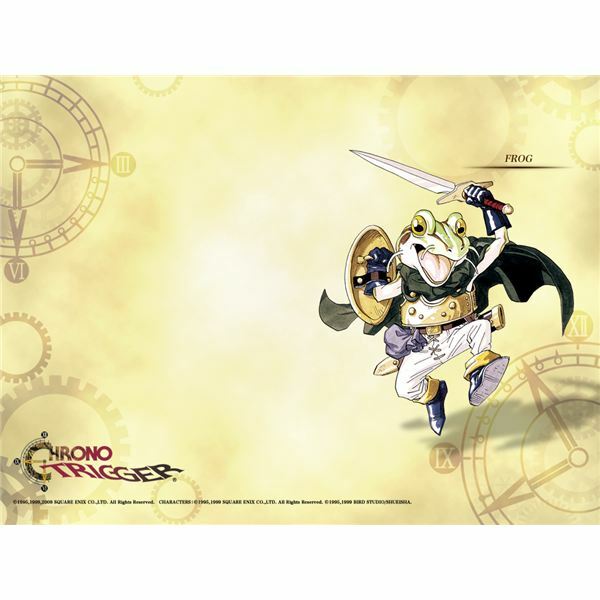 Trigger improved upon almost everything from earlier Final Fantasies and founded elements of gameplay that would serve as the basis of later RPGs by Square and others. The story is one of the most epic and moving tales in video game history and the characters are memorable. Chrono Trigger remains a must have for any fan of role playing games and is definitely worth dusting off and firing up from time to time. 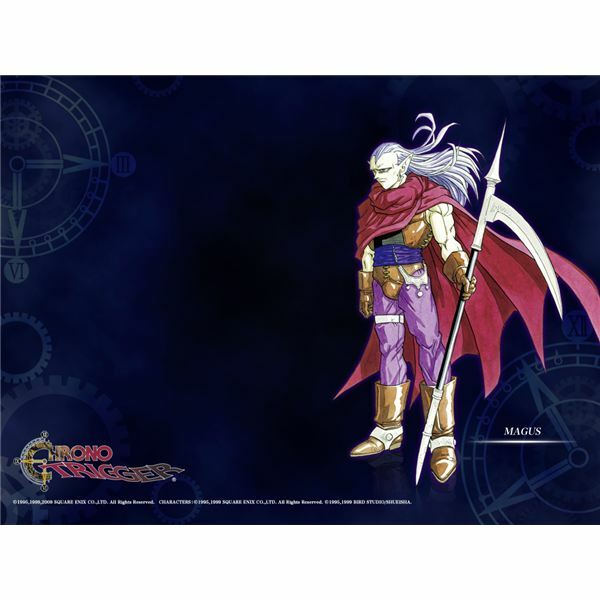 Images and Information taken from the Chrono Trigger website.